WOOHOO! 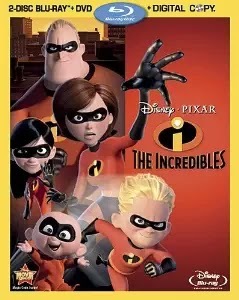 I am a huge Disney movie fan and know these will make for some great gifts this holiday season! Some of these are deals for Prime Members only. I am loving this deal! Right now at Walmart get this KidKraft Wooden Train Table with 3 Bins and 20-Piece Waterfall Mountain Train Set for only $137.97 (Retail $174.99) shipped! 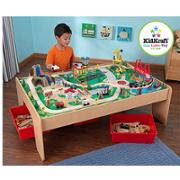 We have an older KidKraft Train Table and it has really stood up to my son's playing! Right now at Kohl's Yes2You Rewards Members can save an additional 20% and get triple points with code CELEBRATE at checkout. If you're not a member you can sign up HERE. 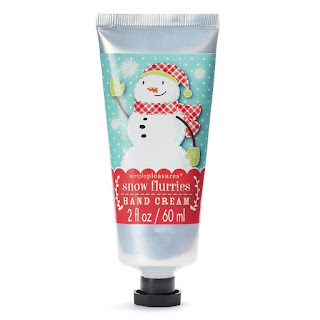 One of my favorite deals is the Stocking Stuffers priced under $4 after the coupon code CELEBRATE at checkout. Head over HERE to check out tons of deals! Get $10 in Kohl's Cash for every $50 spent! Shipping is free if you choose in store pick up or when you spend $75! The 2015 Target Toy Book is now available to view and will be mailed out to select recipients (I received mine Monday). You an also ask for this in store. Typically we find it near the toy for a limited time. You can view it HERE. 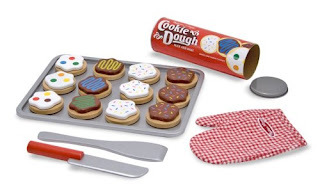 To boost your savings more on page 3 of the Toy Book you will find Target store coupons valid for 25% off Toys, Sporting Goods, or Art/Craft Item or if your like me, you rarely step foot in a store and just order online - with code BESTGIFT or text TOY2 to 827438 (valid 11/1-11/7), $5 off Newborn, Infant and/or Kids' purchase of $40 or more (valid 11/8-11/4), 10% off Toys to Life Purchase of $50 or more (valid 11/15-11/21). Just like last year we will see 50% off cartwheel offers daily on select toys. The savings begins November 1st through December 24th. You'll just need to check the Cartwheel app for the "Hot Gifts for Cool Kids Collection" offer of the day and save it to your account - check the Toys & Sports Offers. Plus this year you'll find a Kids Wish List where kids can explore gifts, while you manage and share their wish list! Head over HERE and check out the details. Hurry over because right now at Walmart you can get this K'NEX 521 Piece Value Tub for only $12.88 (Retail $24.99)! Shipping is FREE to the store! Let your children's imaginations run wild as they construct models with the K'NEX 521 Piece Value Tub. This is a set ideal for children who love to play with building and construction toys. Included in the tub are 521 building pieces so your child can use his or her imagination. The K'NEX building set includes an instruction booklet, complete with details on how to erect 35 unique models using this set. Your children can create their own carnival by making a Ferris wheel. They can go back to the prehistoric years by building creatures and dinosaurs, or they can have a day at the races by building dragster cars. The toy building set has a KNEX storage tub. This way, you won't worry about losing parts or having them get scattered around the house. The value tub is appropriate for children age 7 and older. There are many possibilities with this set, so your children will be entertained for hours on end. The instructions are easy to read and will help your kids build models for playing. Select the K'NEX 521 Piece Value Tub, sit back and watch as your children construct and build. 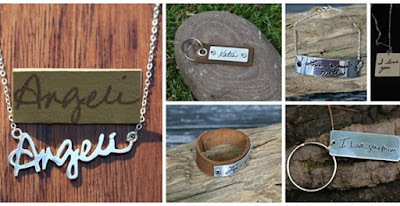 Here is a fun gift idea! 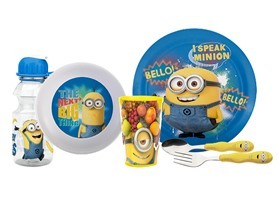 Right now get this Zak Designs 6 Piece Dinner Set for only $16.99 (Retail $29.99)! There are 6 character choices to pick from! The Zak Designs 6-piece kid's mealtime set is perfect for your little ones snack time or any time. Designed for kids, this well put together set is fun, durable, colorful and contains your favorite characters. Today ONLY, Up to 25% Off Select LEGO DUPLO. Melissa &amp; Doug Deluxe Magnetic Responsibility Chart.